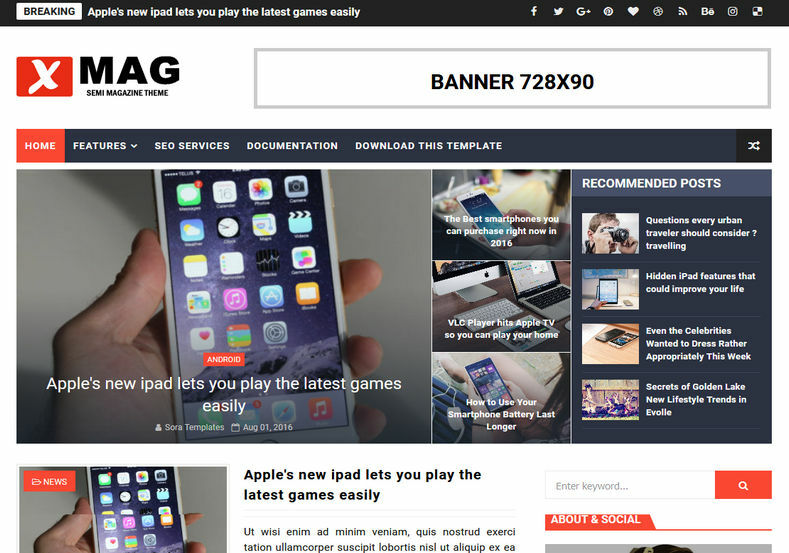 X-Mag Blogger Template is a simple, clean and modern personal technology blog & magazine Blogger theme. It is totaly 100% responsive so it adapts to any device it is viewed on. It has a harmonious fluid grid using a mobile-first approach, and impeccable polish in every detail. X-Mag will make your Blogger look beautiful everywhere. Easy installation and powerful settings are all you need to build excellent websites.